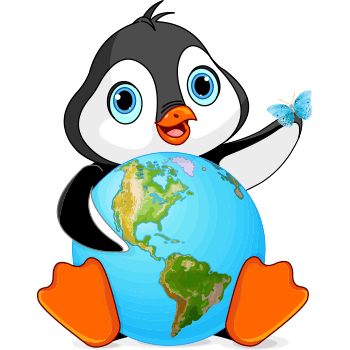 This penguin will add a note of geographic charm to your next Facebook post. With its eye-catching design, this penguin is bound to attract lots of likes and comments too. Your posts will inspire conversation with their eye-catching appeal. Tell your Facebook friends to get to know our database, too, so they can post share cool images.